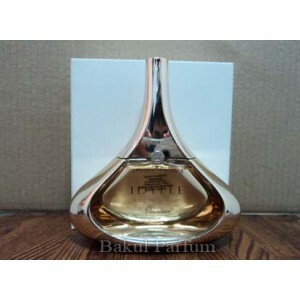 Idylle is the latest creation by Guerlain for mainstream distribution, introduced in September 2009. It has been created by Thierry Wasser and it is the first fragrance he created in his position as the succeeder of Jean-Paul Guerlain. It started with a rose. The rose was a blend of Bulgarian roses, the 2008 harvest being fruity, with overtones of raspberry and litchee. To this blend was added the Plessis Robinson rose, created by Jean-Paul Guerlain out of love for the past – an old rose with fruity accents and a pungent fragrance. This, in turn, was mingled with a chypre harmony, emblematic of Guerlain, composed of patchouli and white musk, selected for its warmth. And lastly came the bouquet that complemented the roses to perfection: lily-of-the-valley, lilac, peony, freesia and jasmine. And so the fragrance was born: a shower of flowers, of petals, of subtle yet incisive freshness, balanced by sensuality. to express an ambiguity of feeling, and musk, like the scent of cashmere on the skin, a comfortable, intimate, physical sensation. the inexpressible idea was expressed, tender and ethereal, sensuous and romantic, fleeting and eternal." Top Notes: Freesia, tincture of rose, Raspberry, Litchi . Middle Notes: Jasmine, Lily-of-the-Valley, peony, lily. 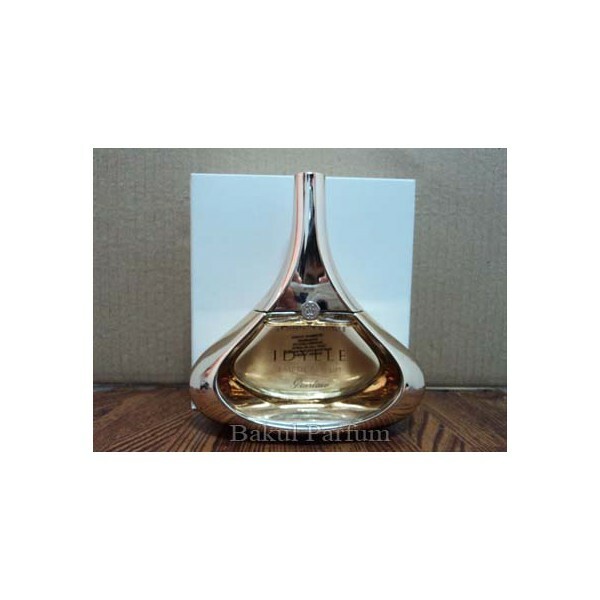 Beli tester parfum original Guerlain Idylle for Women sekarang, harga termurah di Indonesia!! Nikmati promo dan penawaran eklusif parfum original Guerlain hanya di bakul parfum.